Get Your Head Out of Your App | All Systems (Are) Go. Car accidents are one of the leading causes of death in the US, causing over 100 fatalities daily. In 2007 alone more than 43,100 deaths resulted from 10.6 million traffic accidents. For every 100 licensed teenagers between the ages of 16 and 19, there will be 21 traffic accidents, making car accidents the leading cause of death for that age group in the U.S. (White, 2011). With recent advances in smartphone technology could these accidents be mitigated or could these be rerouted to avoid traffic collisions altogether? Can SmartPhones Be Used to Save Lives? According to research done at the Vanderbilt University, recent advances in smartphone technologies are making it possible to detect car accidents in a more portable and cost effective manner than conventional in-vehicle solution. This results in reduction of congestion by alerting motorist as soon as possible which could save lives (Thomas, White, Dougherty, Albright & Schmidt, 2010). Another benefit is that smartphones can relay important data faster to emergency responders and 911 call centers. Which can result in faster response times to rural areas as well as providing critical data such as acceleration during the moment of impact. This data is capture from the onboard accelerometer on today’s popular smartphones. So, that’s the good aspects of smartphones and mobile application development. What are the negative aspects? Using a smartphone while driving maybe the number one cause of traffic collisions and car related injuries. Researchers found that cell-phone conversation temporarily blocks or impedes the processing of information in the driving environment (Levy, Pashler, & Boer, 2006). Furthermore, driving distracted is not just a mater of temporary impedance of relevant data. 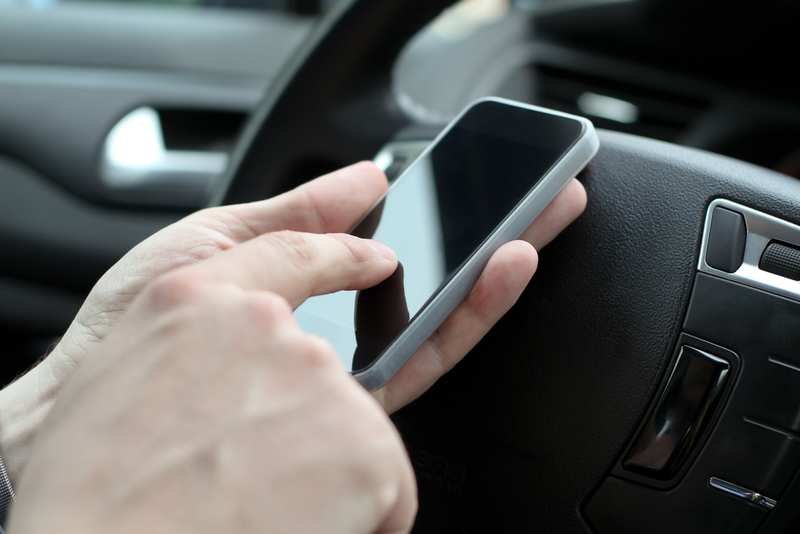 Instead, according to the University of Utah the study examined the extent to which drivers who engage in cell-phone conversations strategically reallocate attention from the processing of less-relevant information in the driving scene to the cell-phone conversation while continuing to give highest priority to the processing of task-relevant information in the driving scene (Strayer & Drews, 2007). Drivers whom text are 23x more likely to crash and drivers whom talk are 4x more likely to crash. Is It Worth Taking Someone’s Life? More and more people are getting into accidents, killing incentive bystanders while using their smartphones and for what? Likes on Instagram? Get your head out of your app! Levy, J., Pashler, H., & Boer, E. (2006). Central interference in driving: Is there any stopping the psychological refractory period? Psychological Sciences, 17, 228–235. Strayer, D L., & Drews, F. A. (2007). Cell-Phone–Induced Driver Distraction. Current directions in psychological science: a journal of the American Psychological Society, Volume 16, Issue 3, p128-131. Thompson, C., White, J., Dougherty, B., Albright, A., & Schmidt, D. C. (2010). Mobile Wireless Middleware, Operating Systems, and Applications. Chicago, IL: Third International Conference, p29-42. White, J. (2013). WreckWatch: Automatic Traffic Accident Detection and Notification with Smartphones. Mobile networks and applications, Volume 16, Issue 3, p285-303.